Over the course of the Malheur National Wildlife Refuge occupation, its leaders and supporters compared the militants to America’s revolutionary leaders (Finicum’s daughters compared him to Thomas Jefferson), and compared their act of armed resistance to the Boston Tea Party, hoping to spark a second American Revolution against unaccountable government tyranny. 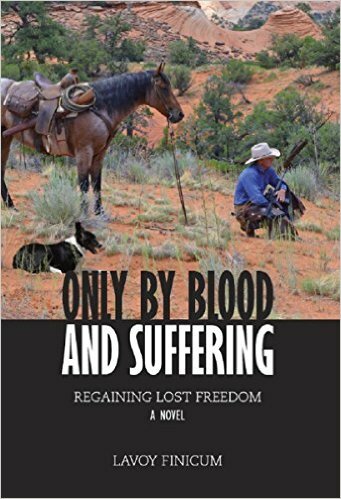 Robert “LaVoy” Finicum, the Northern Arizona rancher who was killed in Oregon by the state police as he tried to evade a traffic stop and roadblock, had a blog called “One Cowboy’s Stand for Freedom”, and Finicum self-published a novel called Only by Blood and Suffering: Regaining Lost Freedom. He had made clear that he would rather die than live in a “concrete box” (jail), and he was the only militant killed during the FBI/OSP arrests. Supporters at Finicum’s funeral called him a “hero”, a “patriot” and a “lover of freedom”. Finicum’s funeral, which attracted perhaps 1,000 people from all over the West, was billed as “LaVoy Finicum’s Stand for Freedom”. But, unlike the American revolutionary generation, the Founders and Framers, who took an armed stand against British occupation of North America and then forged a nation of laws, based on a Constitution which defined a democratic republic to which all citizens owed allegiance – these armed militants, describing themselves as “patriots”, took a stand against the constitutional republic and are more appropriately compared to those early Americans who participated in Shay’s Rebellion and the Whiskey Rebellion – armed insurrectionists who stood against what they viewed as tyrannical excesses of government – and similar to the Southern secessionists who saw a new tyranny in the attempts by Northerners to impose an industrial economic structure on a fundamentally agrarian region. 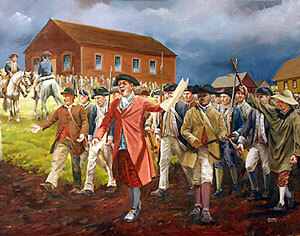 Shays’ Rebellion was an armed uprising in Western Massachusetts during 1786 and 1787 – after the Revolution but before the new government was formed. Revolutionary War veteran Daniel Shays led four thousand rebels in rising up against perceived economic injustices and suspension of civil rights by the state of Massachusetts, and in a later attempt to capture the US Armory at Springfield (much as the British attempt to take the armory at Concord sparked the revolution). Although Shays’ Rebellion met with defeat militarily by a privately raised militia, it prompted numerous national leaders (including George Washington, who came out of retirement) to call for a stronger national government to suppress future rebellions, resulting in the Constitutional Convention. The events of the rebellion, some of which occurred after the Philadelphia Convention had been called but before it began in May 1787, are widely seen to have affected the debates on the shape of the new government. The shock of Shays’ Rebellion drew retired General George Washington back into public life, leading to his chairing of the Convention and his terms as the first President of the United States. In the hill-towns of central and western Massachusetts, the economy during the Revolutionary War had been one of little more than subsistence agriculture. Residents had few assets beyond their land, and bartered with one another for goods and services. In lean times, farmers might obtain goods on credit from suppliers in local market towns who would be paid when times were better. In the more economically developed coastal areas of Massachusetts Bay and in the fertile Connecticut River Valley, there was a market economy, driven by the activities of wholesale merchants dealing with Europe, the West Indies and elsewhere on the North American coast. The state government was dominated by this merchant class. When the Revolutionary War ended in 1783, the European business partners of Massachusetts merchants refused to extend lines of credit to them and insisted that they pay for goods with hard currency. Merchants began to demand the same from their local business partners, including those merchants operating in the market towns in the state’s interior. Many of these merchants passed on this demand to their customers, although the popular governor, John Hancock, did not impose hard currency demands on poorer borrowers and refused to actively prosecute the collection of delinquent taxes. But the rural farming population was generally unable to meet the demands being made of them by merchants or the civil authorities, and individuals began to lose their land and other property when they were unable to pay their debts and taxes. This led to strong resentments against tax collectors and the courts which enforced foreclosures. Additionally, many war veterans, Daniel Shay included, had not been paid for their military service. I have been greatly abused, have been obliged to do more than my part in the war, been loaded with class rates, town rates, province rates, Continental rates and all rates … been pulled and hauled by sheriffs, constables and collectors, and had my cattle sold for less than they were worth … The great men are going to get all we have and I think it is time for us to rise and put a stop to it, and have no more courts, nor sheriffs, nor collectors nor lawyers. The sentiments of Plough Jogger have been echoed in recent years by the Bundy family and other “sagebrush rebels” of the West, and similar grievances in a declining economy have been the basis for the movement to refuse to pay federal grazing fees and to push the federal managers and their enforcers out of the rangelands. It was Shay’s Rebellion, and the inability of Massachusetts or the States under the Articles of Confederation to counter it without the use of mercenaries (private militias), that gave George Washington and the other Federalists the impetus to scrap the Articles and write a new Constitution with a more powerful central government, a federalized and “well regulated” militia capable of “suppressing insurrections” (Article 1, Section 8), and the power to control all non-state territories. The Whiskey Rebellion, also known as the Whiskey Insurrection, was a tax protest in the United States that began in 1791, during the presidency of George Washington. The so-called “whiskey tax” (it applied to all distilled spirits) was the first tax imposed on a domestic product by the newly formed federal government, intended to generate revenue to help reduce the national war debt. The tax was resisted by farmers in the western frontier regions who were accustomed to distilling their surplus grain and corn into whiskey, which often served as a medium of exchange in lieu of money. Many of the resisters were war veterans who believed that they were fighting for the principles of the American Revolution, in particular against taxation without local representation, while the federal government maintained the taxes were the legal expression of the taxation powers of Congress. Throughout counties in Western Pennsylvania, protesters used violence and intimidation to prevent federal officials from collecting the tax. Resistance came to a climax in July 1794, when a US marshal arrived in western Pennsylvania to serve writs to distillers who had not paid the excise. The alarm was raised, and more than 500 armed men attacked the fortified home of tax inspector General John Neville. Washington responded by sending peace commissioners to western Pennsylvania (a base of strong anti-federalist sentiment) to negotiate with the rebels, while at the same time calling on governors to send militias to enforce the tax. 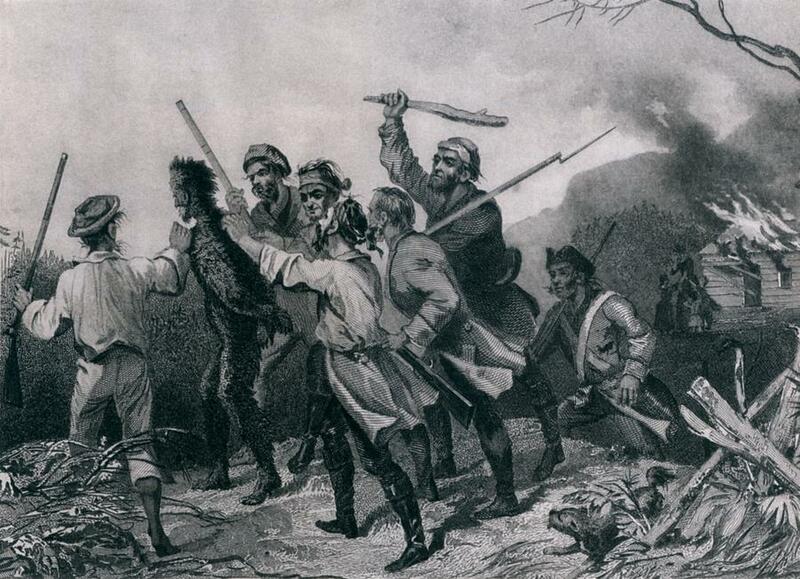 With 13,000 militiamen provided by the governors of Virginia, Maryland, New Jersey, and Pennsylvania, Washington rode at the head of the troops to suppress the insurgency. The rebels all went home before the arrival of the army, and there was no confrontation. About 20 men were arrested, but all were later acquitted or pardoned. In the following six years, more than 175 distillers from Kentucky were convicted of violating the tax law, and generalized resistance much later led to the tradition of moonshine and gangster trafficking (which led to souped up cars to get away from the G-men, which led to NASCAR, the legacy of the bootleggers). The Whiskey Rebellion demonstrated that the new national government had the will and the ability to suppress violent resistance to its laws. The whiskey excise remained difficult to collect, however, and it was repealed after Thomas Jefferson’s Republican Party came to power in 1801. Charles Beard, in The Rise of American Civilization (1927), saw the Civil War as a struggle between two conflicting economies, the watershed division between the agricultural era and the industrial era in American history. For him, slavery was more of a footnote to the war, as the most obvious result of the war was the ascendancy of Northern capitalism and the emergence of a plutocracy in the United States. Between 1800 and 1860, the proportion of the labor force engaged in agriculture in the North dropped from 70% to 40%; in the South, the proportion held fast at 80%. While 25% of Northerners lived in urban areas, only one tenth of Southerners did. The treatment of the South by the North was the template for the way the United States would come to treat any nation that got in the way of progress: not merely a scorched earth policy, but a scorched soul policy – what the Cincinnati Gazette called introducing “the Northern system of life” later became the American way of life, exported at the muzzle of a gun. By 1865, the South was “an economic desert”. A quarter of the Confederacy’s white men of military age perished, along with 40% of Southern livestock, 50% of Southern farm machinery and thousands of miles of railroads. Whereas in 1860 the South had 30% of the national wealth, in 1870 it had only 12%. South Carolina was the first state to issue a declaration of secession from the Union, in 1860, declaring “that the frequent violations of the Constitution of the United States, by the Federal Government, and its encroachments upon the reserved rights of the States, fully justified this State in then withdrawing from the Federal Union” and that “the State of South Carolina having resumed her separate and equal place among nations, deems it due to herself, to the remaining United States of America, and to the nations of the world, that she should declare the immediate causes which have led to this act.” Following was a history of grievances, much as was listed in the Declaration of Independence. Similarly, the Bundy Ranch blogspot listed, on November 12, 2015, a list of “Violations, Corruptions and Abuses in the Hammond Case” which justified armed insurrection, including violations of the 2nd, 4th, 5th, 8th, 9th, and 10th amendments. Harney County, Oregon, which houses Malheur Refuge, is not much different from many of the sparsely populated rangelands of the West. It was one of the most prosperous pockets of the state 40 years ago. No place earned more money per resident in 1973 than Harney County. All of that changed within a generation. The decline of the timber industry shuttered the mill, then the regional economy. Timber supported a third of the county’s employment base in the 1970s. It now accounts for virtually none. At the recession’s height in 2009, unemployment hit 17%, the second highest rate in the state. Two-thirds of the county’s children qualified for free and reduced lunch prices in 2012. Young people who leave for college often never return. Today, Harney County is one of the few in Oregon whose population is shrinking. Harney County is 92% white (when Oregon was granted statehood in 1859, it was the only state in the Union admitted with a constitution that forbade black people from living, working, or owning property there). The median household income between 2009 and 2013 was $38,113, compared with a state average of $50,229. In the 2012 presidential election, voters favored Mitt Romney 3-to-1 over Barack Obama. At more than 10,100 square miles, Harney County is one of the bigger counties in the US, but about 6,000 square miles of it – nearly 60% – is managed by the BLM. More than 40% of the county’s employed residents work for either local or federal government agencies. Most of the 130 federal jobs are in the administration of environmental and conservation programs. Federal employment accounts for 12% of jobs but 20% of all wages earned outside of farms. No other Oregon county in 2013 derived a greater share of wages from the government. In 2011, agricultural revenue for Harney County totaled about $84 million, 65% of which came from cattle sales, 29% from the sale of alfalfa hay, and most of the rest from other crops and the sale of horses. Since the late 19th century, this high desert country – like so many parts of the arid West – has been ranchland and grassland, and has seen much ecological damage from this use, in spite of the professed love of the land among most ranchers. The Sagebrush Rebellion, against federal control of Western lands, broke out episodically in the 1920s, ‘40s and ‘50s, when National Forest designation began to put limits on the previously unfettered economic activity of ranchers, miners and loggers – and again in the 1970s and ’80s with the rise of environmental regulations during the Nixon and subsequent administrations. Today’s Sagebrush Rebels, with the Bundy family leading the charge, continue the tradition of resistance to any form of federal limits on personal freedom, particularly the economic freedom to exploit public resources for private use. With the rise of the political far right in recent years, there has been an increase in the number and activity of “patriot” or “sovereign citizen” groups in the US, and Department of Homeland Security studies indicate that domestic terrorism is considered the leading internal threat by local and state law enforcement departments – moreso than Islamic terrorism – with less concern about environmental and animal-rights extremists and more about so-called “patriot/militia” groups which subscribe to libertarian values and states’ rights perspectives. The modern American “militia” movement, which grew following the 1992 federal assault on the northern Idaho encampment of Randy Weaver in Ruby Ridge and the 1993 siege of the Branch Davidian compound in Waco TX and, and then declined following the execution of Timothy McVeigh and FBI crackdowns, revived itself after the election of America’s first black president. By 2012, the Southern Poverty Law Center counted 1,360 active patriot groups, many of them militias. 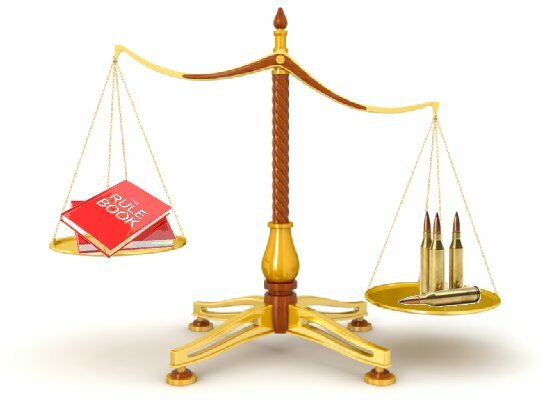 The rise of the Tea Party has also been associated with this resurgence of a narrow view of the Constitution and the NRA’s insistence – supported by a grossly anti-historical Supreme Court ruling in DC v. Heller – that the 2nd Amendment’s purpose is to protect First Amendment rights. Hard times, coupled with a growing federal presence – even if it also pays a large percentage of wages – often equates to a festering resentment of the federal government, particularly among those residents who engage in traditional resource exploitation work, such as ranching, mining and logging. Add to that resentment and sense of encroachment on one’s freedom, a myopic view of the US Constitution and the Founders’ intention in creating a national government, and the mixture becomes explosive. 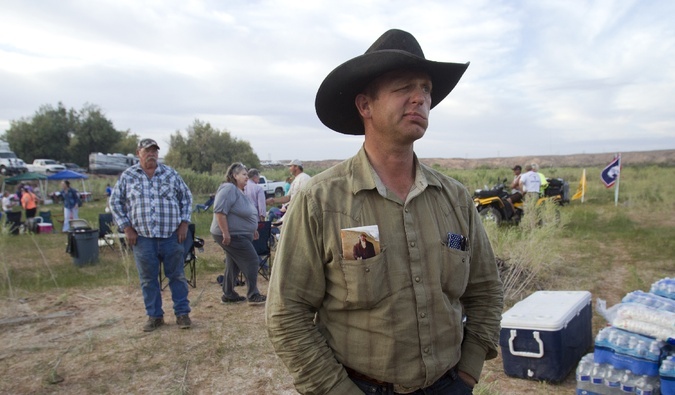 Cliven Bundy, at his 2014 Nevada ranch standoff with the BLM, as well as his sons and many of the other militants at Malheur Refuge, were often seen carrying a copy of the Freemen Institute’s pocket Constitution in their shirts. Those who ascribe to it, hold a narrow view of the powers of the federal government as limited to the “enumerated powers”. But that is not what the Framers intended. The bolded words could have been placed in the US Constitution which replaced the Articles, but were deliberately left out in 1787. The most significant difference is that Article II qualifies the word delegated with “expressly” – the 10th Amendment does not. The difference was no oversight. When a member of Congress proposed insertion of that word, James Madison objected, arguing that any constitution must have implied powers. Among the binding resolutions passed by the Constitutional Convention delegates to guide the writing of the Constitution, was one that specified that the new government would have every power enumerated in the Articles and an additional power “to legislate in all Cases for the general Interests of the Union”. Formidable evidence exists that the framers had no intention of limiting the national government’s powers to the 16 items listed in Article I, Section 8, of the Constitution. When challenged about the removal of “expressly”, the Framers explained that the expressly delegated limitation had proved ‘destructive to the Union’. The Freemen Institute, now called the National Center for Constitutional Studies (NCCS), is a conservative, religious-themed constitutionalist organization, founded by Latter-Day Saint political writer W. Cleon Skousen (1913-2006). According to the NCCS, the founding of the United States was a divine miracle. As such, the NCCS worldview and program are based on two major pillars: (1) understanding the divine guidance that has allowed the United States to thrive and (2) rejecting the sometimes tyrannical and/or sinful deviations of the modern US federal government from that divine mold. Skouson has influenced and been cited by Senator Orrin Hatch, Mitt Romney, Glenn Beck, and Ben Carson. The constitutional scholar Jack Rakove of Stanford University pronounced Skousen’s books and seminars as “a joke that no self-respecting scholar would think is worth a warm pitcher of spit”. A 1971 review in the Mormon journal Dialogue accused Skousen of “inventing fantastic ideas and making inferences that go far beyond the bounds of honest commentary” and also of promoting concepts that were “perilously close” to Nazism. In 1979, the then-president of the LDS church issued an order prohibiting announcements about Skousen’s groups from official LDS meetings or publications. However, Skousen remains a source of inspiration among the most extreme anti-government activists today, particularly those of Mormon faith. Cliven and Ammon Bundy, as well as LaVoy Finicum and several other Malheur occupation leaders, often insisted that their actions were guided by divine revelation or by God, and this gave them the certainty that their actions were not only necessary but morally right. The Freemen Institute had its origins in 1967, when Skousen, a professor at Brigham Young University, organized an off-campus institute for constitutional studies. In 1971, this was formerly christened as The Freemen Institute. It was later given its current name and its headquarters moved to Washington DC. 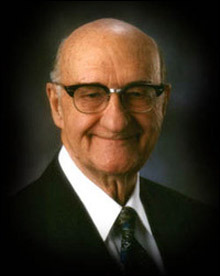 Cleon Skousen was an anti-communist supporter of the John Birch Society, and a popularizer of Mormon end-time eschatology and New World Order conspiracies. Skousen disregarded all federal regulatory agencies and argued against the creation of the Occupational Safety and Health Administration and the Environmental Protection Agency, wanted to repeal the minimum wage, eliminate unions, nullify anti-discrimination laws, sell off public lands and national parks, end the direct election of senators, eliminate the income tax and the estate tax, remove the walls separating church and state, and end the Federal Reserve System. It’s easy to trace Skousen’s divine guidance, anti-federalism and end-time theology directly to the Bundy men – father and sons. “Anybody who dares to say that there’s a supreme law, that government has rules that they’re supposed to abide by – anybody who does that, all of a sudden now they’re terrorists,” Ammon said. 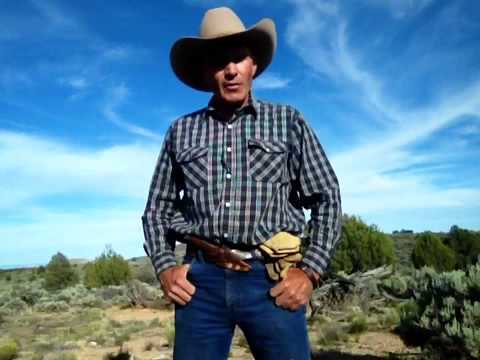 The 2014 Bundy Ranch standoff was the first major episode in the New Sagebrush Rebellion which brought together ranchers, so-called “patriot” and “militia” groups, and even local politicians and “constitutional” sheriffs who weren’t bothered by joining company with those pointing assault weapons at federal officers. The constitutional sheriffs’ movement began in 1994, when Richard Mack, then-sheriff of Graham County AZ, and a handful of other sheriffs, sued the federal government over a provision in the 1993 Brady Act that required local law enforcement to handle background checks on gun sales. In 1997, the Supreme Court ruled 5-4 for the sheriffs, deeming it unconstitutional for the feds to force the state or its officers to execute the regulation. The majority opinion was written by the late Justice Antonin Scalia, who disdain for the Constitution was evident also in Heller v. DC. Mack’s defiance of the federal government made him a folk hero to the then-burgeoning “patriot” movement, which is built on the belief that the federal government is taking away individual liberties. In 1996, Mack lost his bid for re-election, but he co-wrote a book with Randy Weaver, the man at the center of the 1992 Ruby Ridge shootout with federal agents, the event that catalyzed the “militia” movement. It was Mack’s “complete discouragement and feelings of hopelessness” at the 2008 election of Barack Obama that propelled him back into the political spotlight. Mack wrote a 50-page screed denouncing the federal government and its intrusion into individual and state rights. “The County Sheriff: America’s Last Hope”, published in 2009, argues that the sheriff is the ultimate law enforcement authority and thus the “last line of defense” shielding individual liberties from out-of-control federal bureaucrats. The manifesto cemented his cause and made him one of the prime movers of the reactionary movement that would come to be known as the Tea Party. He shared his philosophy at dozens of Tea Party rallies as well as gatherings of the Oath Keepers, a quasi-militia organization founded in 2009, composed of active or former military, law enforcement and first responders who swear to resist any “unconstitutional” federal order and take up arms, if necessary, against their own colleagues and their government. 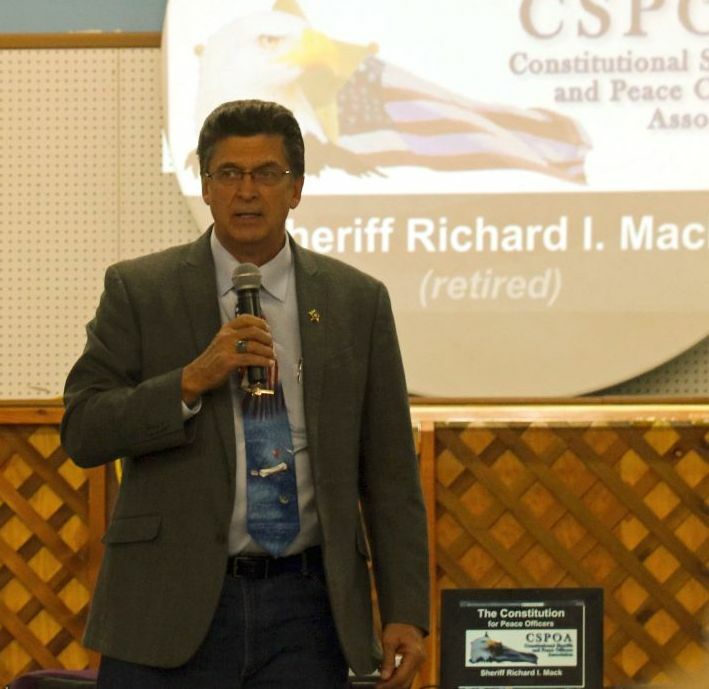 In 2011, Mack created the Constitutional Sheriffs and Police Officers Association (CSPOA). The notion of sheriff’s constitutional supremacy, which has no basis in history or law, was critical to the ideology of the ultraconservative John Birch Society founded in 1958, as well as to the racist, anti-tax Posse Comitatus group of the 1970s, and is shared by most of the New Sagebrush Rebels and Anti-Federalists of the Bundy persuasion. In January 2012, CSPOA held its first gathering in Las Vegas, followed by a second event that September, when Obama was on his way to being re-elected. Mack’s attendance roster reads like a Who’s Who of right wing politics. They included Oath Keepers’ founder Stewart Rhodes, several of the Sagebrush Sheriffs, and Tom DeWeese, president of the American Policy Center, known for spreading fears that the United Nations, under Agenda 21, is taking over the world via bike paths and public transit. It also included Joe Arpaio, the notorious sheriff of Maricopa County AZ, whom Mack praised for launching an investigation into the validity of Obama’s birth certificate, as well as Ken Ivory, president of the American Lands Council and champion of the federal land-transfer movement. The common thread that links many of these groups is the billionaire libertarian Charles Koch. What most Americans are unaware of is that Charles Koch, one of the richest and most powerful businessmen in America, whose father Fred C Koch was a founding member of the John Birch Society, created the first Tea Party website and has almost single-handedly funded that modern anti-Federalist movement. Through a variety of financial channels, Charles and his brother David also fund the American Lands Council, the Cato Institute, and a variety of right-wing professors and think tanks to spread their gospel among Americans, many of whom don’t realize they are the shock troops for the Koch empire. Mack was a leading figure at the Bundy Ranch standoff in 2014, excoriating the local sheriff for not running the BLM out of there. And Mack was on hand in Burns OR in early January 2016 to demonstrate in support of ranchers Dwight and Steven Hammond – a protest that initiated the 41-day occupation of the Malheur National Wildlife Refuge. What isn’t obvious, because it is kept deliberately in the shadows, is that behind most of the New Anti-Federalists and New Sagebrush Rebels are the machinations of Charles and David Koch, who were raised by a Nazi nanny who left for Germany when Hitler invaded France, to be at his side. The United States Declaration of Independence was a document which described a fundamental conspiracy theory about a deliberate pattern of abuses all aimed at the complete subservience of The People to an intractable political power structure – one that has infused American culture ever bit as much as its unique belief in the necessity of arms as the last resort against domestic tyranny. The United States of America was founded in a strident debate between Federalists (including James Madison, Alexander Hamilton and John Jay, and Presidents George Washington and John Adams) and Anti-Federalists (including Patrick Henry, Samuel Adams, George Mason, Richard Henry Lee and Presidents Thomas Jefferson and James Monroe). The Federalists advocated the replacement of the weak Articles of Confederation, which maintained state sovereignty, with the Constitution, which put more power into a central government able to “establish Justice, insure domestic Tranquility, provide for the common defence, promote the general Welfare”. The Anti-Federalists strove to scrap the Constitution and demanded a Bill of Rights in the hope of scuttling the entire document. 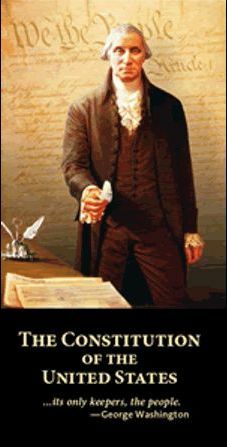 Having failed to stop ratification of the Constitution, the Anti-Federalists lost interest in the Bill of Rights, which James Madison had to force through Congress, and which he made certain would not substantively alter the balance of power articulated in the Constitution. The Anti-Federalists lost the argument, but that strain of American opposition to central authority has remained alive throughout US history, and surfaces from time to time – most notably in the “Patriot” and “Militia” and “Sovereign Citizen” and “Constitutional Sheriffs” movements, in the New Sagebrush Rebellion, and in the strident resistance to any hint of restriction on the presumed 2nd Amendment right to bear private arms for self-defense or resistance to perceived tyranny. The Bundy Insurrection represents elements of all those strains of Anti-Federalism, and, while it has deep roots in the American experience, it may be – as law enforcement authorities suggest – the greatest threat to law and order (and to the protection of public resources) in today’s America. Excerpts from the report “Congress Should Confront the Rise of Violent Extremism on America’s Public Lands” by Matt Lee-Ashley, published March 24, 2016 by the Center for American Progress. On January 1, 2016, the National Park Service kicked off its centennial celebrations honoring the 1916 creation of the national park system as the star of the Rose Parade. Colorful floats decorated with faux grizzly bears and waterfalls rolled past cheering crowds in Pasadena, California. Documentary filmmaker Ken Burns, serving as the Rose Parade’s grand marshal, observed that setting aside lands “for everybody and for all time” is a “spectacular, utterly American idea”. The next day, anti-government gunmen took aim at that idea. A group of armed militants, led by the sons of Nevada rancher Cliven Bundy, stormed the Malheur National Wildlife Refuge, or NWR, in Oregon demanding that the US government dispose of the national forests, wildlife refuges, monuments, and other lands that belong to all Americans. 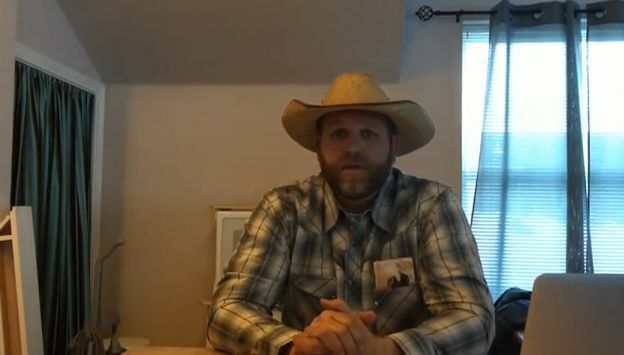 “This refuge, from its very inception, has been a tool of tyranny,” declared the group’s leader, Ammon Bundy. Through dangerous, illegal, and absurd means, the Bundy brothers’ stand – which lasted 41 days – brought into focus the most powerful philosophical and political attack on America’s parks and public lands since they were established. Bolstered by the rhetoric of sympathetic politicians, the anti-government anger of so-called patriot militias, and the financing of billionaire brothers Charles and David Koch, the Bundys and their allies seek to divest US taxpayers of their public lands. They promise that, with the US government out of the way, Western states could enjoy vast riches from unfettered mining, logging, livestock grazing, and energy extraction. Neither the law, economic reality, nor most Westerners support the fantastical – indeed, fictional – tale that Ammon Bundy…and other leaders of the movement are telling to promote the seizure and sale of public lands. Yet the vision they articulate is so compelling that its true believers will stop at nothing in its pursuit. Anti-government extremists are intimidating – and perpetrating violence against – public servants, destroying public property, desecrating the cultural resources of tribal nations, and leading armed insurrections against federal law enforcement officials. Within the political system, they are pressuring state legislators to pass unconstitutional copycat bills that demand the turnover of national public lands to state control. Congressional committees, meanwhile, have held only one hearing, organized no investigations, and enacted no policies to help reduce the growing risk that violent anti-government activists pose to public employees, public lands, and American communities. With its failure to act, Congress is tolerating a culture of violence, terror, and intimidation that has no place in American society. It is time for Congress to confront the dangers of anti-government extremism on America’s public lands, defend the rule of law, and reaffirm a set of shared values that will guide the stewardship of the nation’s parks, wildlife, and waters for the next century. 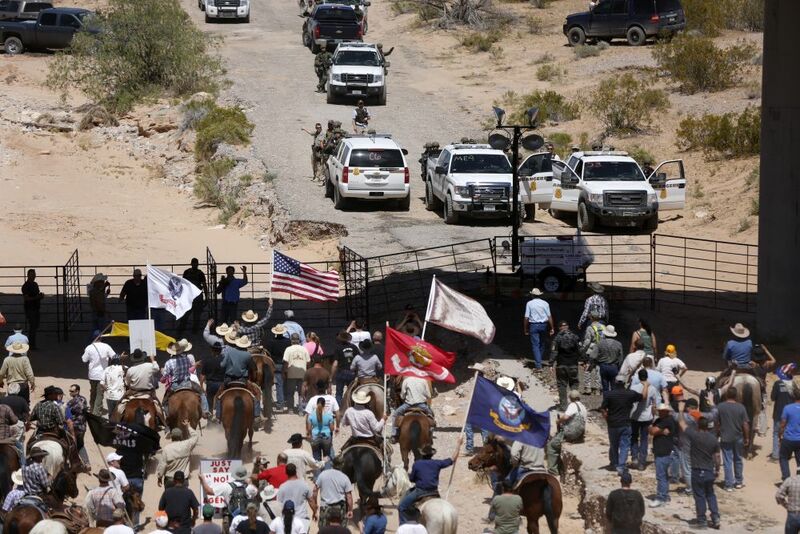 Since 2014, when Cliven Bundy led hundreds of anti-government militants in an armed standoff with federal law enforcement officials near Bunkerville, Nevada, anti-government activists have organized and led at least four other armed confrontations on public lands. In May 2014, militia members from the Bundy standoff in Nevada traveled to San Juan County, Utah, to participate in an armed show of force against the federal government and to illegally ride all-terrain vehicles through Recapture Canyon, an area of public lands containing Native American archaeological sites. In April 2015, members of Oath Keepers and the Pacific Patriots Network, both anti-government militia groups, convened on the Sugar Pine Mine in Josephine County, Oregon, to provide an armed defense of the mine’s owners amid unfounded fears that the Bureau of Land Management, or BLM, was preparing to close the mine. In August 2015, Oath Keepers led a similar armed occupation of US Forest Service land in Montana, blocking access to public lands and the White Hope Mine. In January and February 2016, dozens of armed militants participated in the seizure of the Malheur NWR in Oregon. A Center for American Progress review of media reports indicates that at least 20 of the individuals involved in the armed occupation of the Malheur NWR in Oregon also participated in the Recapture Canyon, Bunkerville, Sugar Pine Mine, or White Hope Mine actions. Two of the participants in the Bunkerville standoff, Jerad and Amanda Miller, shot and killed two police officers, a bystander in a Wal-Mart, and themselves shortly after leaving the Bundy ranch. During these armed standoffs and in separate individual incidents, public servants working for the BLM, the US Forest Service, and other land management agencies have been the targets of violence. An independent review of BLM records found 14 incidents of violence against BLM employees in 2014 alone, ranging from attempted murder to threats of physical assault. 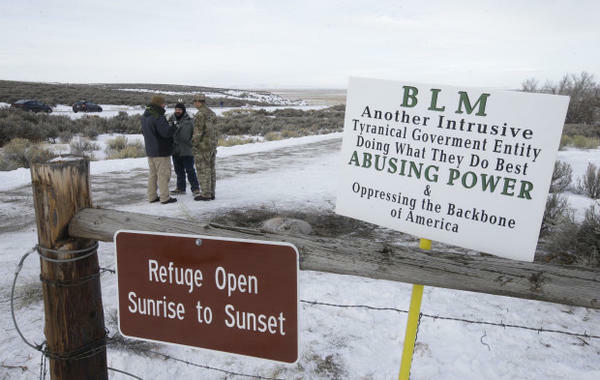 During the armed takeover of the Malheur NWR, militants reportedly harassed, intimidated, and threatened federal employees, prompting the US Fish and Wildlife Service to relocate the refuge’s entire staff out of the area for the duration of the standoff. Law enforcement officials and federal prosecutors have more work to do, however, to hold accountable those responsible for the five armed takeovers of public lands in Nevada, Utah, Oregon, and Montana since the beginning of 2014. A CAP review of these incidents indicates that there are still at least 30 individual militants at large who, according to media coverage, may have committed federal crimes during these confrontations, including conspiring to prevent federal employees from discharging their official duties. 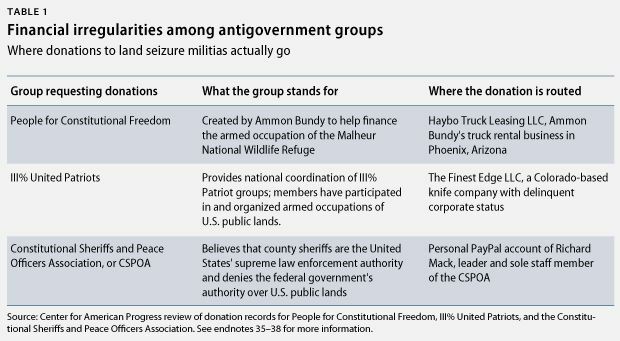 These militants include two of the architects of the Sugar Pine Mine takeover in 2015; a white supremacist who joined the Malheur NWR and Sugar Pine Mine takeovers; and a member of the Southern Nevada Militia who was involved in the Malheur NWR takeover and allegedly took up a sniper position above federal law enforcement officers in Nevada in 2014. The inconsistent responses of the FBI and federal land management agencies to the five armed takeovers since the beginning of 2014 suggest that federal law enforcement officials have no clear policy or strategy for how to respond to armed assaults on public lands. Since Cliven Bundy summoned militias and anti-government activists to Nevada in 2014, a complex web of extremist groups has been actively organizing and carrying out the recent armed takeovers of public lands, including the assault on the Malheur NWR. 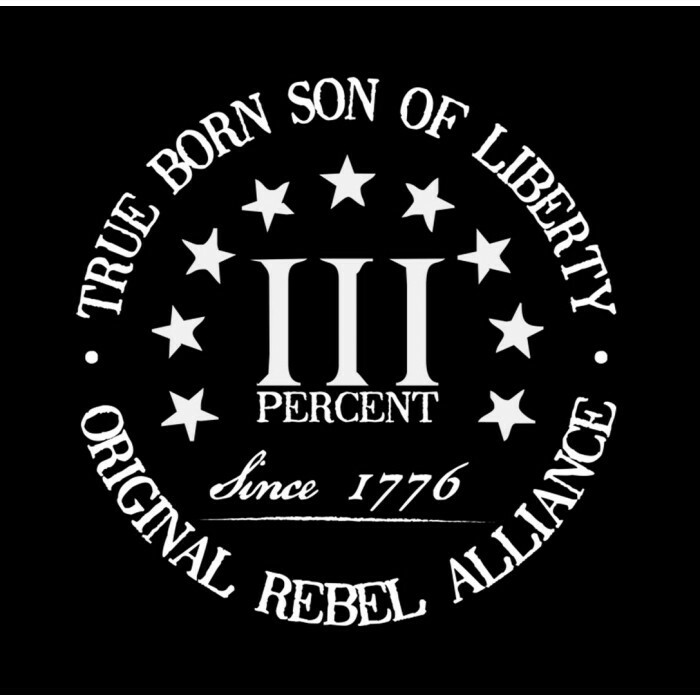 These groups include the III Percent Patriots; the Constitutional Sheriffs and Peace Officers Association, or CSPOA; the Pacific Patriots Network; Oath Keepers; People For Constitutional Freedom, or PFC; and Operation Mutual Aid. According to experts who study right-wing extremism, the goals of the III Percenters, the CSPOA, and Oath Keepers, respectively, include mobilizing “would-be combatants in a ‘second American Revolution’”; establishing county sheriffs as “the highest legitimate law enforcement officials in the land”; and swearing an oath to guard Americans against “imaginary threats from the government – orders, for instance, to force Americans into concentration camps, confiscate their guns, or cooperate with foreign troops in the United States”. Following the armed takeover of the Malheur NWR, this militant arm of the land seizure movement has strengthened its ties with the movement’s political arm, led by the American Lands Council and the conservative Koch network. In early February, for example, the American Lands Council – a Utah-based group that has been the driving force behind legislation seeking to transfer control of US public lands to the states – selected as its new leader Montana state Rep. Jennifer Fielder (R). Fielder has deep ties to the Militia of Montana and is a member of the Sanders Natural Resource Council, an anti-government group led by white supremacist John Trochmann. Meanwhile, former head of the American Lands Council Rep. Ivory announced that he will advocate for the state seizure of public lands through his new position with a group called Federalism in Action, which is funded by the Koch brothers. The Koch brothers also partly finance the American Legislative Exchange Council, which has helped Ivory and the American Lands Council disseminate copycat land transfer bills in state legislatures around the country. Congress’ intervention would send a powerful signal of support to the law enforcement officials and prosecutors working to restore the rule of law and bring those accountable to justice. Investigators could also help shed light on the dark network of patriot militias, financiers, and special interest groups that are currently fighting to seize control of US public lands. Just as importantly, Congress should provide park rangers, wildlife professionals, and US natural resource agencies with the resources and tools they need to safely guard the natural and cultural resources with which they are entrusted and to continue to build the partnerships with local communities that are indispensable to sound public land management. By choosing to confront the dangers of anti-government extremism on public lands, Congress can reaffirm the nation’s shared commitment to the public ownership of US lands, waters, and wildlife as the country enters a second century of American conservation. For the complete story of the Bundy Boys takeover of Malheur and its cultural, political and historical context, including a day-by-day timeline, see: Range War Redux – Bundy Boys In Oregon. 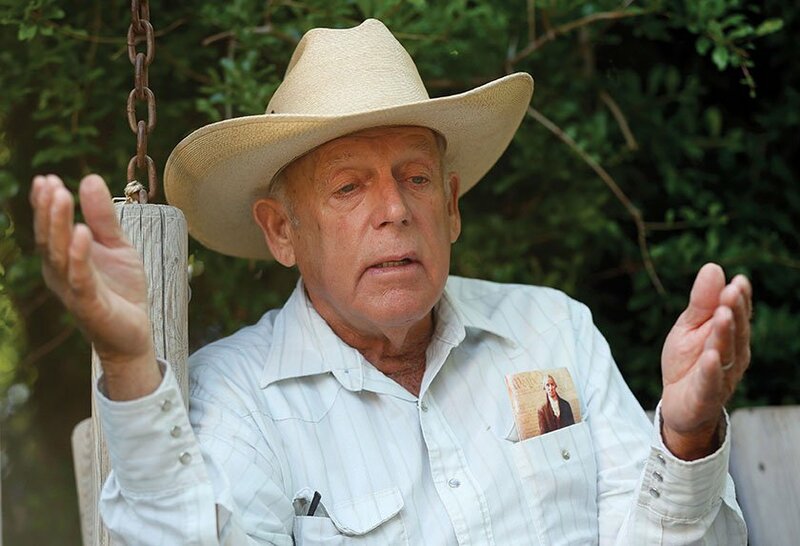 For the backstory on the New Sagebrush Rebellion, part one, see Cliven Bundy – Folk Hero or Scapegoat? To understand the psychology behind such mass delusions, see Propaganda, the Collective Unconscious, and Mass Movements.